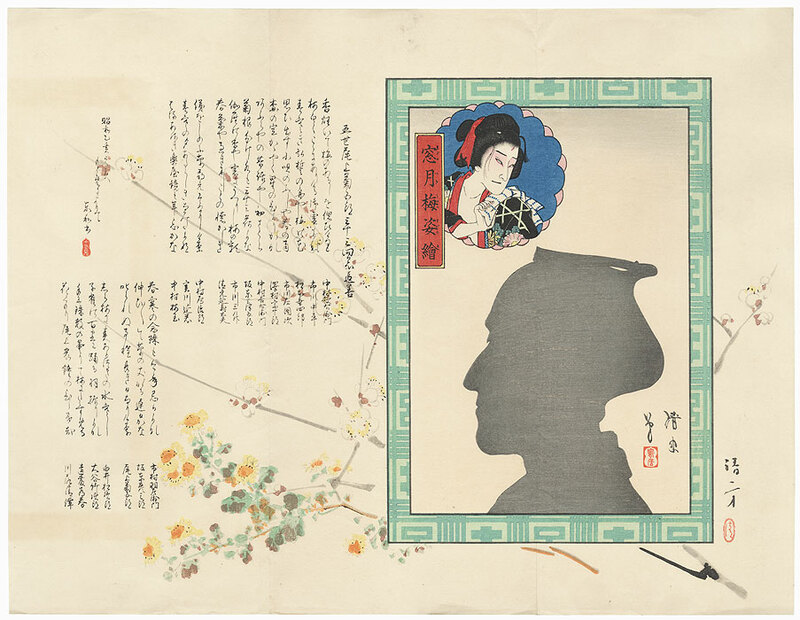 Comments - Unusual, large format surimono featuring a shadow portrait of a kabuki actor by the renowned Torii Kiyotada and a background design of blossoming plum branches and a stock of yellow flowers by Kiyokata Kaburagi. 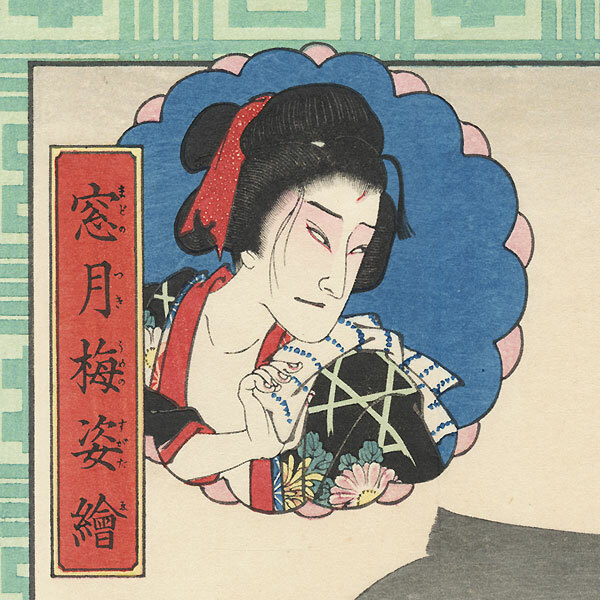 Surimono are an exclusive subcategory of Japanese woodblock prints. Poetry clubs commissioned these designs for distribution to a small audience of members, most often as New Year's greetings. The portrait is full oban size, with a scalloped inset at upper left showing the actor in character as a sullen-looking beauty, framed by a decorative green border. Poems fill the page at left. 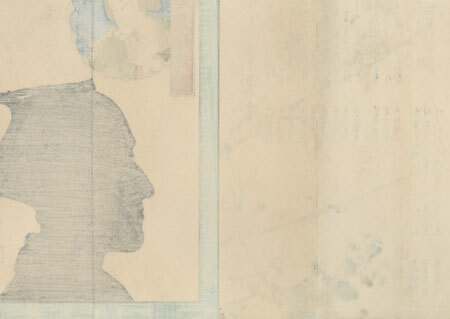 A terrific rare design, great for a collector of surimono or shin-hanga kabuki portraits. Image Size - 17 1/2" x 22 5/8"
Condition - This print with excellent color and detail as shown. Two vertical folds. Slight toning and soiling, a few creases and small marks. Please see photos for details. Good overall.